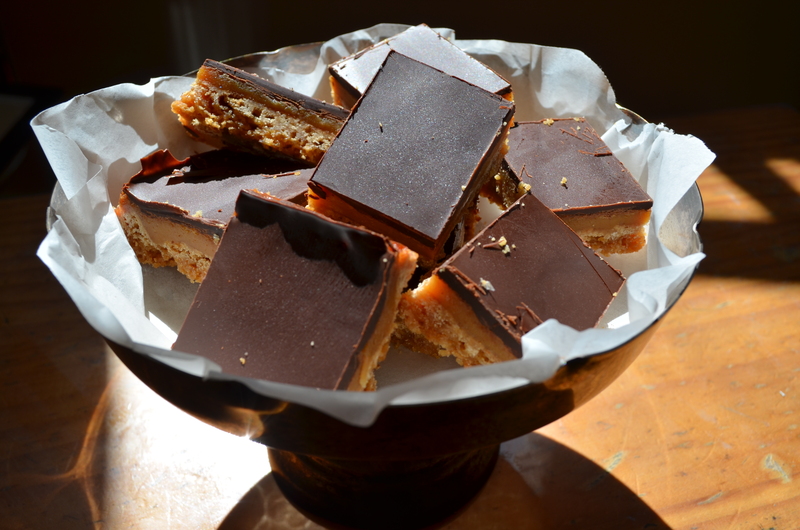 You might have already noticed my fondness for salted caramel goodies. It began in 2011 at an amazing chocolate shop in Camden Passage, London called Paul A. Young Fine Chocolates. Their sea salted caramel was a revelation and I have been a devotee ever since. That devotion means salted caramel appears in my kitchen on a pretty regular basis; this incarnation is a twist on a well loved classic and is definitely one of my favourites. I love it so much that I usually give most of it away so I don’t indulge too much! 1. Preheat oven to 180C and grease and line a 20x30cm slice tin. 2. Stir the sifted flours, coconut, sugar and butter in a bowl until combined. 3. Press base mixture into prepared tin and place in the oven for 15 minutes or until slightly browned. 4. Meanwhile, heat condensed milk, golden syrup, 30g butter and 1tsp salt flakes in a small saucepan over medium heat. Stir continuously for about 15 minutes or until golden. Let cool for 2 minutes and then carefully taste the still hot mixture, adding the rest of the salt if desired. 5. 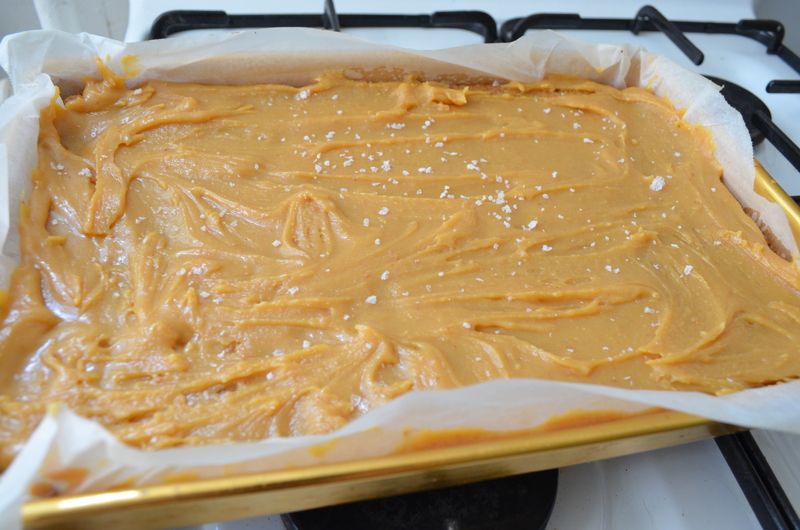 Spread salted caramel over base, sprinkling with more sea salt flakes if desired, and return to oven for 10 minutes. 6. Remove slice from oven and cool. 7. Stir chocolate pieces and oil in a small saucepan over low heat until melted, then pour over cooled slice, smoothing with a spoon if necessary. 8. 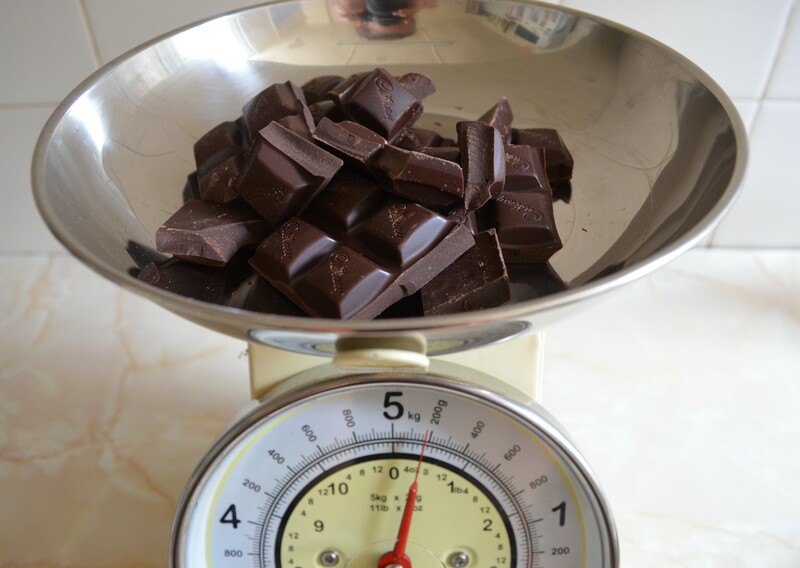 Refrigerate slice for 3 hours or chocolate has hardened. 9. Cut into around 30 pieces with a hot knife. I sometimes top the slice with additional salt flakes, like Himalayan pink salt, to finish the look. 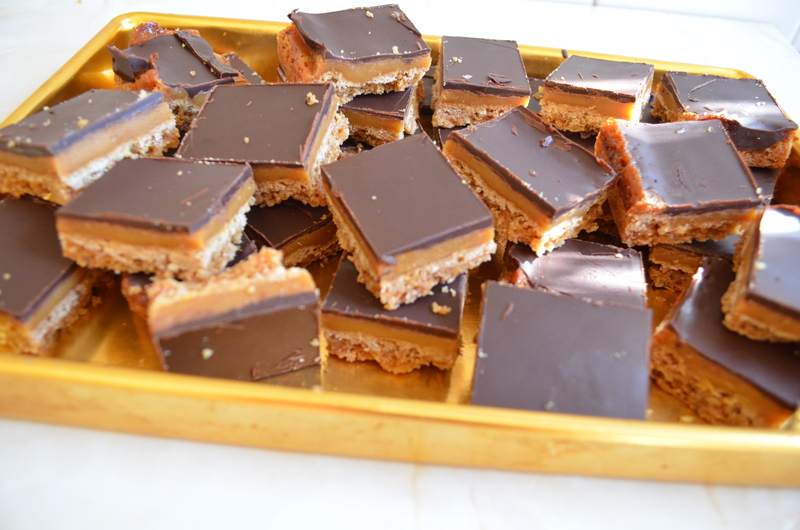 I didn’t this time because I had added salt between the chocolate and caramel layers, and because it wouldn’t have stayed on top for the journey in for morning tea at work. This recipe yields a nice big batch that will have you firmly in the good books with friends and family. Plus, the satisfaction of eating something this mindbogglingly delicious is always amplified when you’ve made it yourself. Have a great week and happy baking!